Our Summer Camp Schedule is out! Click here for details. Sign up by April 15 and save up to 20% on camps. A step by step painting party for kids with pizza rather than sips. 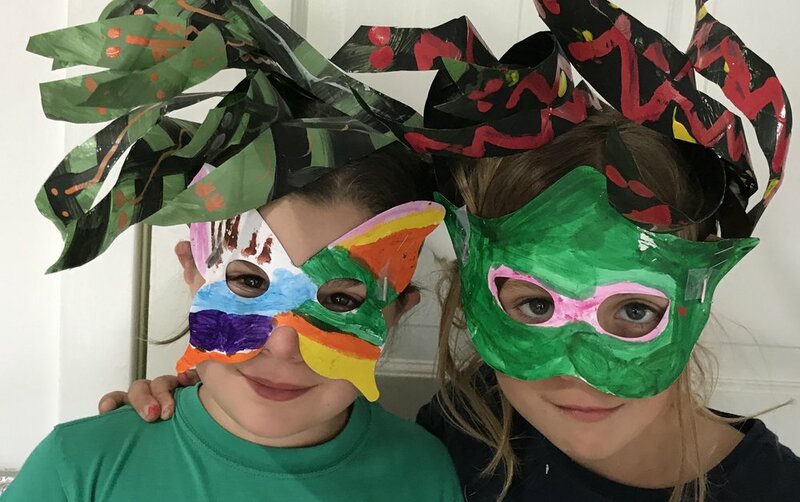 Medusa masks made in our Mythical Creatures summer camp. 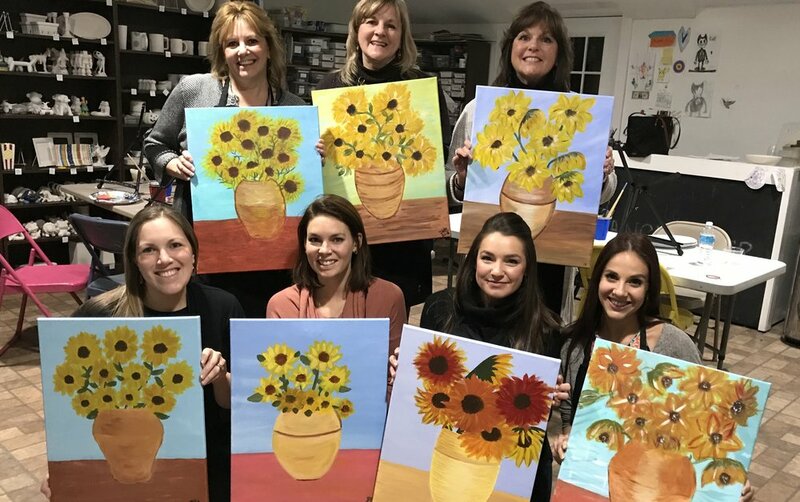 The studio is a great place for an adult gathering - girls night out, corporate team building event, bachelorette party or birthday party. We love private events and will work with you to come up with a perfect project. Learning about landscapes - lesson on foreground, midground and backgrounds. Homeschoolers learn about Vincent Van Gogh and his style of painting landscapes. 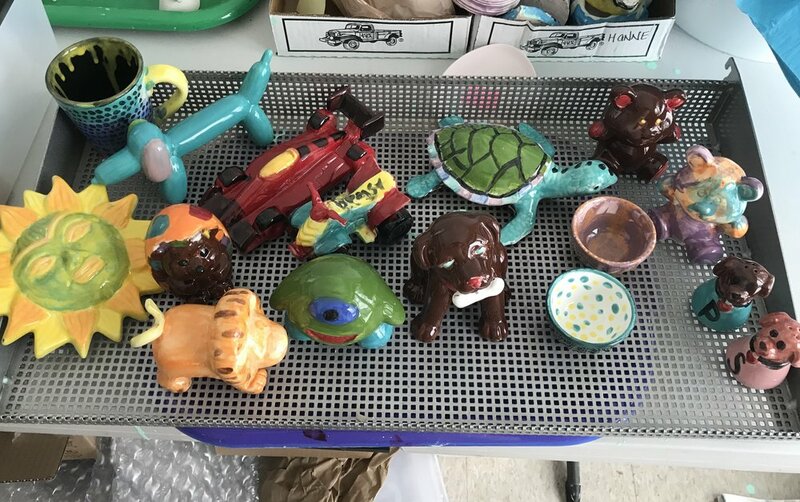 The studio has a wide variety of pottery pieces for glazing.